If you have ever served in the military, or are serving now, you will know what it means to PCS. This simply means a Permanent Change of Station. The military is one of the most transient sectors of the American population. From the time that BMT (Basic Military Training) has been completed, most will then move on to Tech School (USAF), Class A School (Navy), SOI (School of Infantry for USMC) or AIT (Advanced Individual Training) for the Army. When the career training is over, the new military member receives his or her first orders. These orders assign them to their new post, base, or port. For many, this will be the first time they have lived away from home for more than a few months of training. Being in the military requires discipline and flexibility. A person who has never seen snow, except on TV, may end up serving in Montana, Alaska, or even Wyoming. Whereas, a person used to the windy, wintery plains of the Rocky Mountains may end up serving in an area where the temperatures are moderate or hot year round. Either way, a PCS move can be interesting, fun, nerve-wracking, or scary all at the same time. Will I meet new friends? Will there be activities available for what I like to do during my time off? Will it be close to a major airport so I can easily go visit my family while on leave? 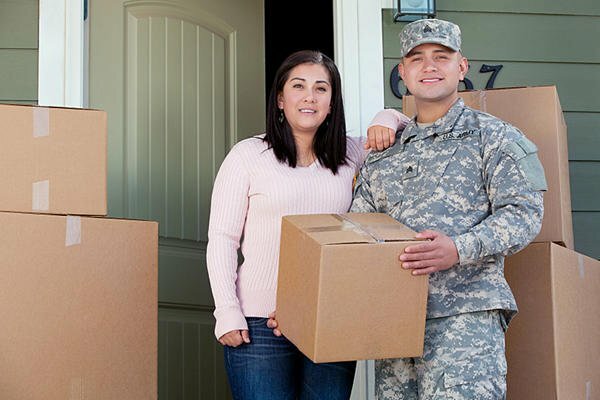 If the military member has a family, this creates even more issues and potential headaches. What schools are available? If the family educates their children at home, are there support groups to join? What if my children don’t like the new area? Where will we live? Do we rent or buy? What is the housing market like at the new duty station? While not every question can be answered immediately, each service member has the right to ask. Each family needs to have questions answered that will help them to make the transition a little easier. It is difficult to move to a new area when you really want to go to the new location, but when you really have no choice and you are under orders, you have to learn to make the best of things. This is where a Military Relocation Professional (MRP) comes in. Having somebody who is familiar with the process and can help liaise in a number of areas unique to the military is an invaluable resource. While I may not have all the answers immediately, I have the resources I need to find them. Part of my chosen career is assisting people who are moving here from other bases, or even if FE Warren AFB is your first base. If you are moving here, already here, or know somebody who is considering a move to Cheyenne, please keep my details handy. Call me. I consider it an honor to serve you and your families in making the transition to FE Warren AFB. Wyoming is a beautiful state. We love it here and we stand ready to give you a warm welcome!